We are an Australian owned and operated company dedicated to creating the coolest and best quality bean bags in the world! 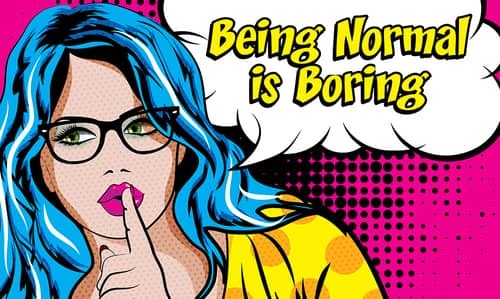 Our motto is ‘Being Normal is Boring’ and it is with that in mind that we have created our range of contemporary products. Created in the Sixties to appeal to the Hippie ‘Flower Power’ Generation, bean bags have gone on to become both a design and cultural icon, and one of this generation’s most flexible and stylish pieces of furniture. They have stood the test of time. Using the latest trends, hottest colours, new fabrics, ultra-comfortable shapes and a modern design aesthetic, the Australian design team at Bean Bags R Us transformed the humble bean bag into a versatile and multi-purpose addition to any home. Whether your need is to add some flexible extra seating in the lounge; create a whimsical and playful environment in the family room; add some serene personal space in the garden or by the window; give the kids some seating in their bedroom for when friends come over; to dress up your patio like a 5-star resort’ or to turn the swimming pool into a haven of relaxation – We have a beanbag perfect for you! The defining characteristics of our range are fun, comfort and quality. The fun is obvious, but the comfort must be experienced to be appreciated. It’s up to four times thicker than you will get elsewhere – and all outdoor bean bags have a high-quality PU coating for water resistance. Unlike traditional furniture, they have no hard armrests or unforgiving edges. You'll never have to fight with a coil spring that just doesn't feel right, and flat cushions are a thing of the past. Perfect for resorts, hotels, commercial pools, schools, hospitals, library meeting rooms, office buildings, summer camps, churches, aged care facilities, sports events, festivals, seminars and more. We have a shape, size and colour for every seating need. Besides providing your patrons with the ultimate in comfort, we can also help you promote your business or brand through our custom printing services. Order chairs in your corporate colours and add your logo to create a highly visible, virtually unforgettable theme product for your next ad campaign. Ask us about our wholesale and reseller pricing options. 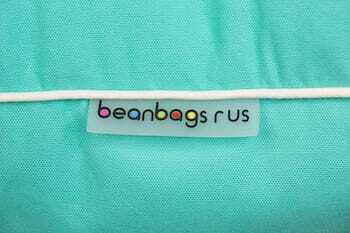 Bean Bags R Us began in September 2011, with the aim of providing unique and high-quality products that were not available anywhere else. Through providing the best service possible, we have maintained a loyal customer base. We strive to ensure our products are manufactured to the best possible standards and are constantly looking to improve our products and our online store. 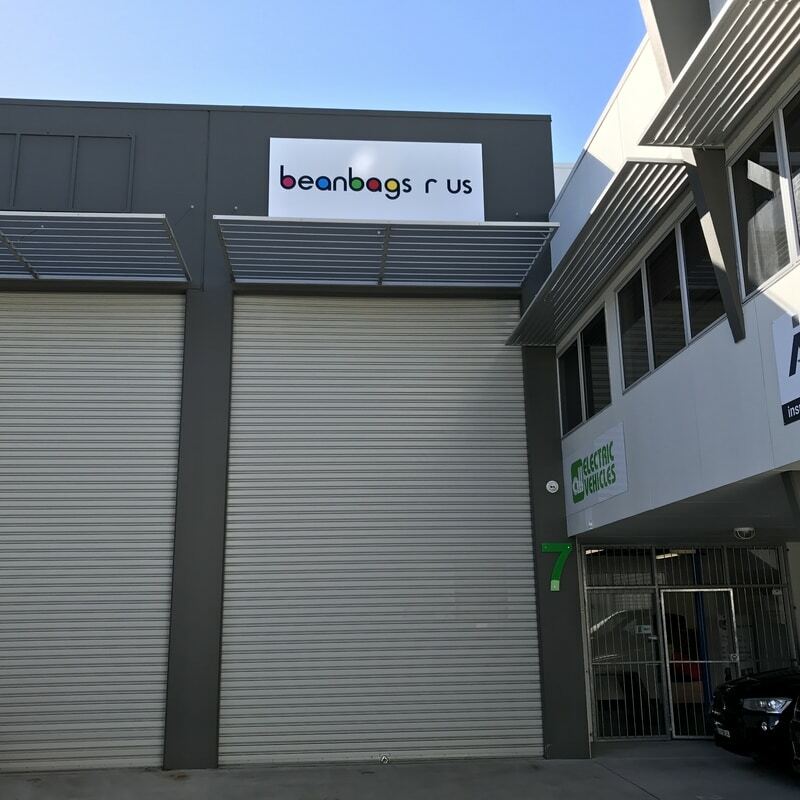 But for those who prefer to try before they buy, we have Queensland's only beanbag showroom, located on the Gold Coast, just off the M1 Motorway. We ship all over the planet and our products have become the preferred choice of some of the most recognisable brands and corporations in the world. We pride ourselves on providing the best possible service for our clients, that's why we're now the Number One distributor of bean bags in Australia. We believe we have the best and most extensive range of high-quality bean bags available in the world. From bedrooms to playrooms, poolside to the seaside, timber deck or boat deck, when we say we have a bean bag to suit everyone, and every occasion, we mean it. That’s why we also have the ultimate in bean bag furniture – the massive King Kong floating bean bag which means having a pool just got even better! Most of our products are ideal for corporate events and promotional purposes and can be screen printed or heat transfer printed with your logo or slogan. Find out more about our custom printed beanbags. We welcome trade enquiries and look forward to assisting you! Our outdoor and multipurpose designs like the Merlin and Big Mama are made from one of the most durable materials used for bean bag furniture, Polyester 1680D. All outdoor styles like the Freaky Cousin, Media Lounge and Daddy Cool come in a range of twelve vibrant and fade-resistant colours to add a dash of fun around the house. At Bean Bags R Us we are aware of the dangers associated with small children and the contents of bean bags. So, for your peace of mind, every zip used with our bean bags is both child-proof and conforms to exacting Australian Safety Standards. We advise against the use of any solvent based cleaning materials on our products - a mild household detergent is normally sufficient. Our outdoor range is weatherproof, but we do not recommend they be stored away when damp. With our pool bean bags, we would suggest rinsing down each time with clean water after using in a pool or the sea. Following these simple guidelines will help your bean bags continue to look great for many years. After all, we did say they were durable! Unlike many other bean bags on the market, our products are quite heavy because of the quality of the material. Other brands use 420D polyester and nylon or even lighter weight material. 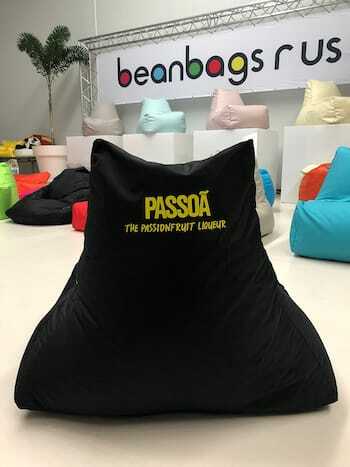 At Bean Bags R Us, we think we have the coolest range of bean bag furniture around, but we are constantly looking to expand our range, and we are always on the lookout for new ideas. We listen to our customers, and we always value feedback. So, if you have any suggestions or want to know anything more about any of our products, why not get in touch by calling us? That way you will soon discover we are a lot more than just a website! Our three hundred and eighty-five square metre warehouse and showroom on the Gold Coast is open to the public Monday to Friday AEST 9:00am - 5:00pm.